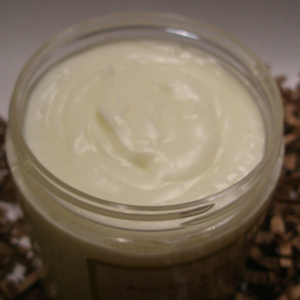 This is our Glycerin-Free version of the NEW Avocado & Honey Twisting Cream. This is very thick & creamy and is highly moisturizing and softening for type 3-4 coarse hair types. We scent this one with Ylang Ylang and Lemon! Use to moisturize and soften dry, coarse coils. Best used on type 3-4 hair types due to heavy concentration.KEY INGREDIENTS? Organic Aloe Vera Juice, Distilled Water, Avocado Oil, Organic Sustainable Palm Oil, Vegetable Emulsifying Wax, Botanical Oil Complex, Panthenol, Prunus domestica(Plum) seed oil, phenoxyethanol and caprylyl glycol, Ylang Ylang, and Lemon Essential Oils.